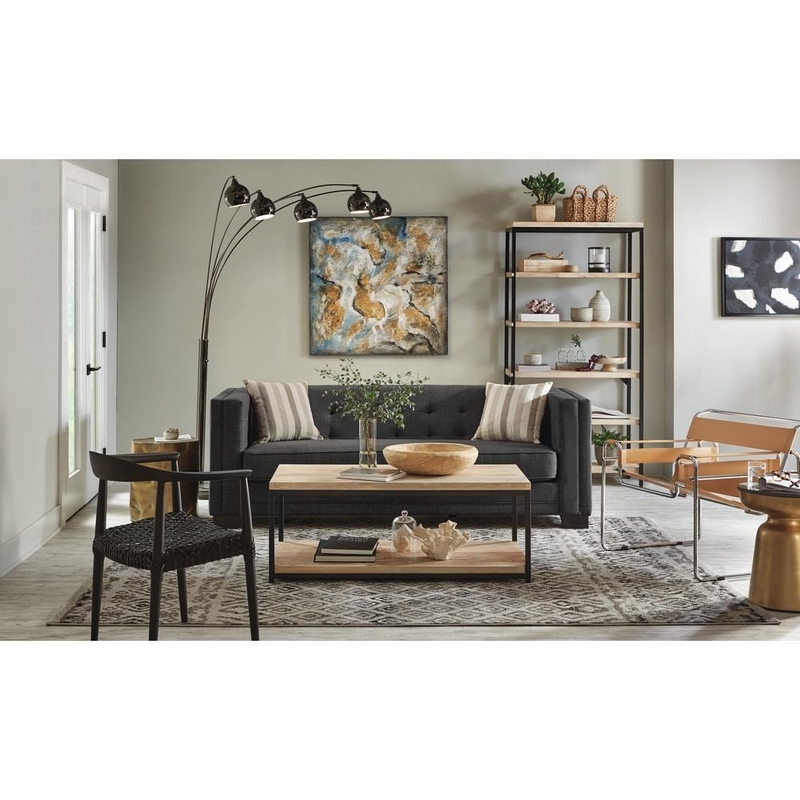 We stan a good home sale! 1. 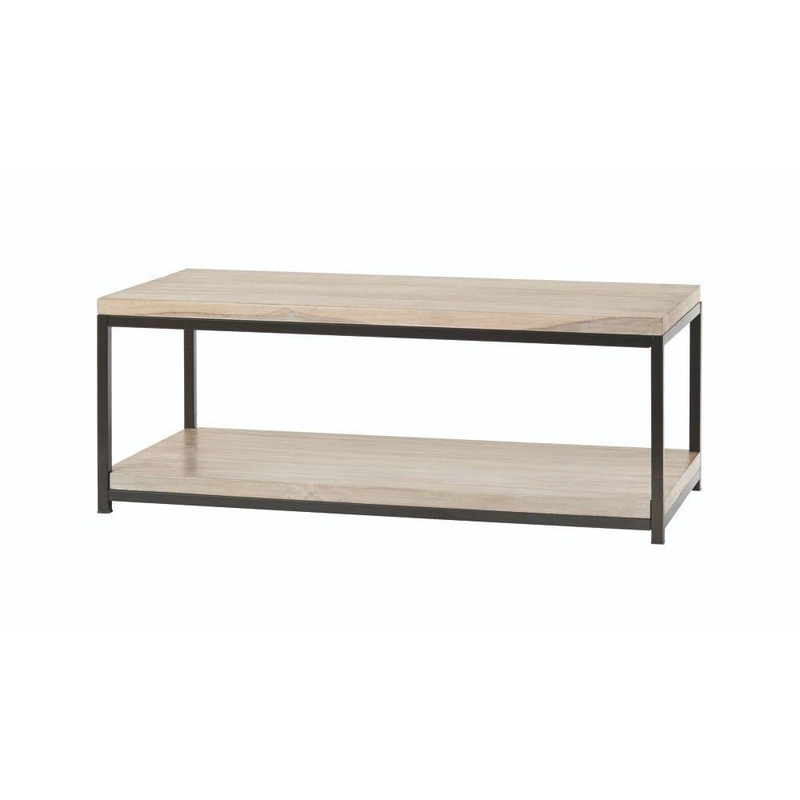 A mango wood white wash coffee table that can fit in with either farmhouse or industrial decor. The top will provide a landing for drinks and remote controls while the bottom shelf can house books and decorative objects. 2. A dreamy 300-thread count cotton percale duvet cover with corner ties so your insert stays firmly in place while you snooze. BTW, it's also machine washable. Also, check out the matching shams and sheets. 3. A minimal, lightweight metal and glass desk with two shelves and six rails to promote a clean and decluttered work space. Sorry folks, you'll definitely be able to focus here. 4. A faux fur mink throw, because who wouldn't want to cuddle up in this softness on a cold evening? Its neutral tone allows versatility, so it can be placed at the foot of your bed, over the back of your couch, or draped across a chair. The bonus? It stays soft even after multiple washings, so feel free to enjoy a glass of wine while you snuggle in for the night. 5. A KitchenAid five-speed hand mixer with stainless steel turbo beaters that'll mix ingredients without batter build-up. With the easy-slide speed controls, you'll be able to control the speed effortlessly. The beaters can be quickly ejected for cleaning and the powerful motor means you can create batches upon batches of chocolate chip cookies. Uh, sign me up. 6. 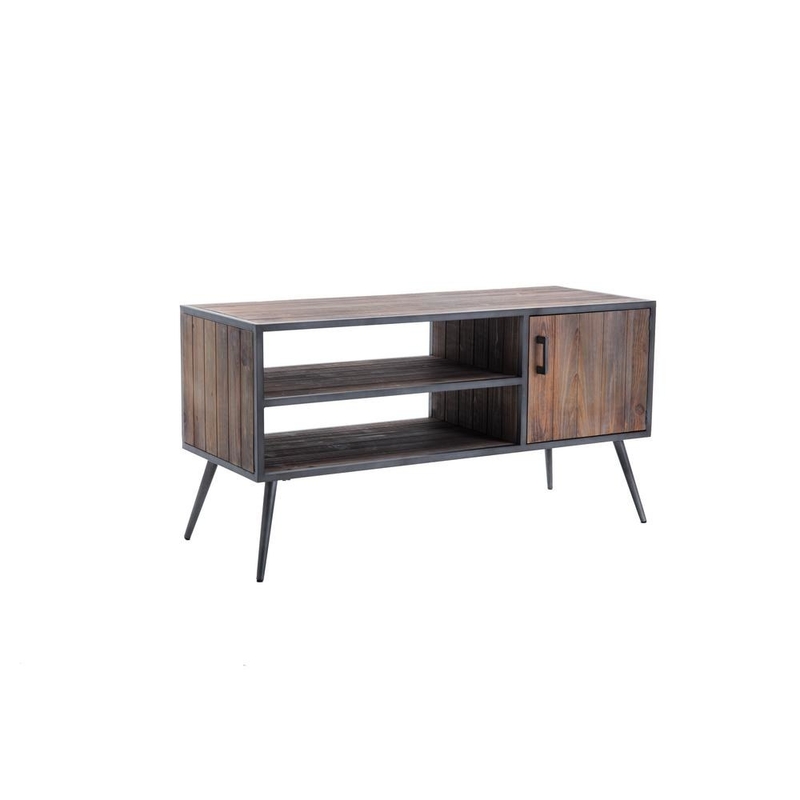 A mid-century modern media console to support your TV and cable boxes while serving up some serious style. The hidden compartment allows for extra storage space away from guests' eyes. For a cohesive look, pair with this cocktail table. 7. A four-inch gel memory foam mattress topper so you can feel like you're sleeping on a cloud every night. The breathable memory foam will conform to your body, regulate temperature, and align your spine for more comfortable snoozing. 8. A Keurig single-serve coffee maker that features strong brew and cold brew options, plus hot water for tea, oatmeal, or soup. It has five brew sizes and with the large water reservoir, you can make eight cups before refilling! The quiet brew technology means you'll get a steaming cup of coffee in under a minute without waking up your entire family. 9. A striped pouf to place in your living room for a handy foot rest or extra seating when friends and family come over. 10. Plush Egyptian cotton bath towels in a beautiful chevron pattern for sophisticated bathroom style and cozy post-shower naps. If your current towels are looking a bit dull and flat, then it's time to upgrade! These towels are incredibly soft and supple. Heads up — they may lint at first, but after a few washes, the lint will decrease. Price: $38 (originally $46, available in three colors). To complete the collection, check out the bath sheet, hand towel, and wash cloth. 11. Nesting tables if your living room doesn't offer much space, but still needs a coffee or end table. 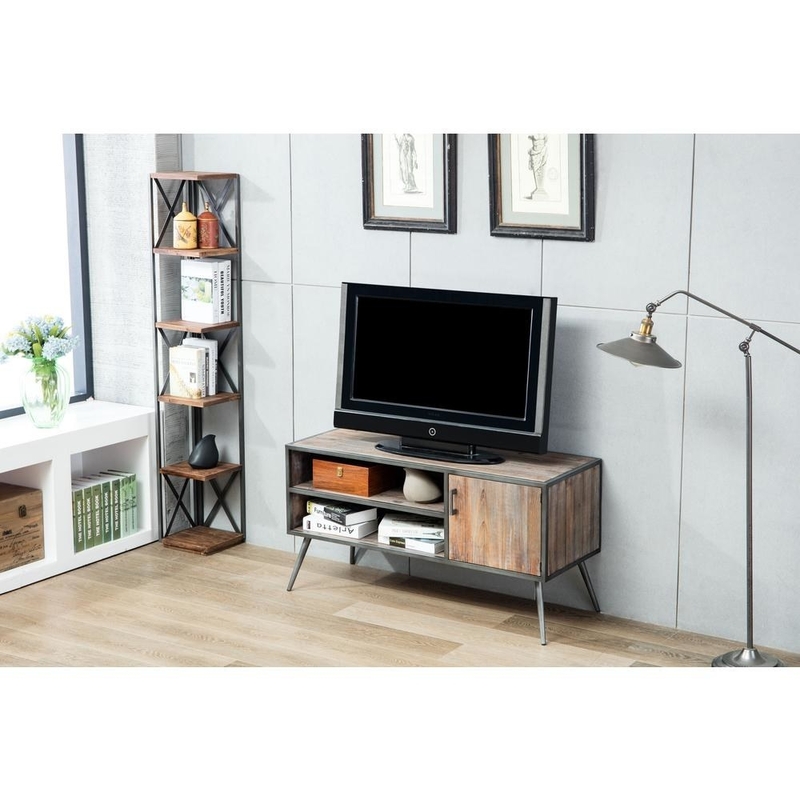 The metal frames promise durability, while the reclaimed wood tops with a sealed finish fight spills and scrapes. You can pull the smaller table out from under the larger when necessary, or store it underneath when you're really trying to save space. 12. A 300-thread count cotton sateen sheet set for silky-smooth sleep. And if you're super particular about how your sheets look, then these are for you! They won't wrinkle or crease even after a full night's use. And don't worry about stiffness. This sheet set will stay soft even after multiple launderings. 13. A KitchenAid four-slice toaster with wide slots for bagels, toast, and pastries. It also has a five-shade setting for toasting and a manual high-lift lever so you can grab your goodies without scorching your fingers. Looking to get your bagel exactly right? The bagel option toasts your bagel with a stronger setting so you get the crisp color you're looking for. And if you think you're flirting with the over-toasted line, there's a handy cancel button. Promising review: "The chord is long enough to reach an outlet, and the toaster is designed to allow the chord to be tucked underneath the toaster. 14. A glam console table with spindle legs and a crystal knob that will definitely take center stage when guests step into your entryway. The single drawer can act as a great place to keep keys, too. 15. 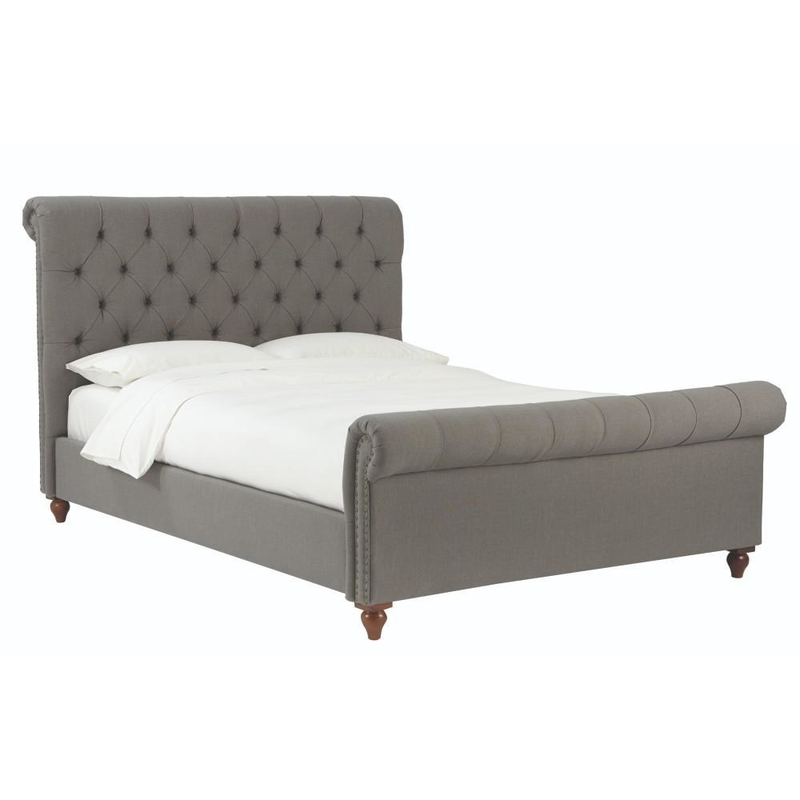 A tufted sleigh bed, because it's time you got rid of that cheap frame from college. 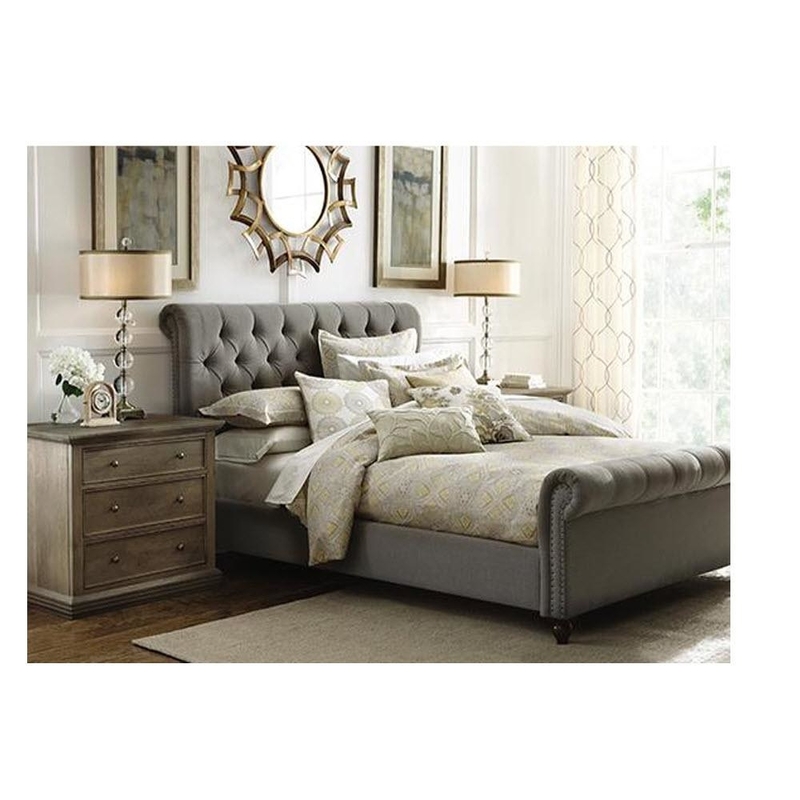 This one has nailhead trimming, a plush footboard, and sturdy, even support. 16. An incredibly adorable dino storage ottoman for a child's bedroom with a padded seat and super durable fabric. Hey, we know kids are messy. Save yourself the pain from stepping on a Lego with this little storage ottoman. Seriously, your child's bedroom will be instantly cleaner. 17. A KitchenAid five-quart stand mixer that can fit 15 attachments and mix at 10 speeds. The glass bowl has measurements in liters and cups, plus the mixer comes with a wire whip, a dough hook, and a flat beater. Bakers rejoice! This mixer is your new BFF. You can make bread or cookie batter, whip cream or icing, and mix mashed potatoes or pizza dough. The head tilts up so you can change attachments, but then locks back down for secure mixing. In short, this kitchen device can do about anything, which means you need it ASAP. 18. A spacious bookshelf with five adjustable and two fixed shelves for frames, vases, books, and knickknacks. It's incredibly solid, so you'll never have to deal with an accidental tip-over. 19. An organic down pillow covered in 230-thread count combed cotton with a soft density so your head can rest comfortably through the night. Throw out every rock solid pillow you have, because this pillow will cushion your neck from every angle. 20. A bronze end table that'll be the perfect spot for a coffee mug, glass of wine, book, or TV remote. The metal legs offer strong support to keep the mirror table level (AKA no rocking from uneven legs). 21. A quiet KitchenAid five-speed blender (stir, chop, mix, puree and liquefy) to make fruit-filled, protein-packed smoothies. The 60-ounce glass pitcher is scratch-, shatter-, and stain-resistant, so blend away! The bonus? The lid stays tight during mixing so you don't need to worry about ingredients flying everywhere, and with the raised vent, you can add ingredients as you go. This bad boy can also crush ice with ease, so there's really nothing it can't handle. 22. An Egyptian cotton bed skirt, because your bed is definitely lacking this sophisticated finishing touch. It'll cover your box spring for a cleaner look, yes, but it'll also allow for some hidden storage underneath your bed. Win, win! When it gets dirty, don't freak. You can throw it in the washing machine and it'll actually get softer after each wash.
23. A six-quart KitchenAid slow cooker for lazy cooking at its finest. Seriously, it will do 95% of the work for you to create soups, stews, roasts, and really any other recipe you can find. I have a slow cooker and absolutely love it. It takes minimal effort, but still produces a delicious meal. I can throw ingredients in before I leave for work and by the time I get home, a warm dinner is waiting for me. It's easy to program, plus is so versatile. It has four temperature settings (low, medium, high, and keep warm) so even if your food finishes cooking while you're out, it will stay warm up to four hours. When you need to clean, just remove the inside ceramic vessel and you're all set for your next lazy meal. 24. A cotton and linen euro sham that'll act as support if you don't have enough space (or money) for a headboard. Plus, the textured feel adds an element of style to your bedding. Because of my studio apartment, I don't have enough space for a full headboard. Instead, I use three euro shams to create space between the pillows I sleep on and the wall. They provide a great backing and I got to choose pillows that fit into my overall color scheme and decor style! 25. A whimsical cotton flannel bird duvet cover to add a more playful print if your bedroom is more monotone in color. With corner ties, you won't have to worry about your comforter bunching. 26. Or a zebra duvet cover if you want a change in animal scenery. This one is also made from cotton flannel for ultimate coziness. And yes, you guessed it, this one also has corner ties! 27. An eight-drawer dresser with antique hardware that'll require zero assembly. It's a bedroom essential for the amount of clothes it can hold, especially if you fold the Marie Kondo way. 28. A walnut and metal coat rack that can hold up to eight coats plus hats, scarves, and umbrellas. Finally you can stop dumping everything on The Chair and actually start hanging stuff up.